After an incredibly long fourteen-year wait, Tezuka’s biography has finally reached the shelves of the US market. 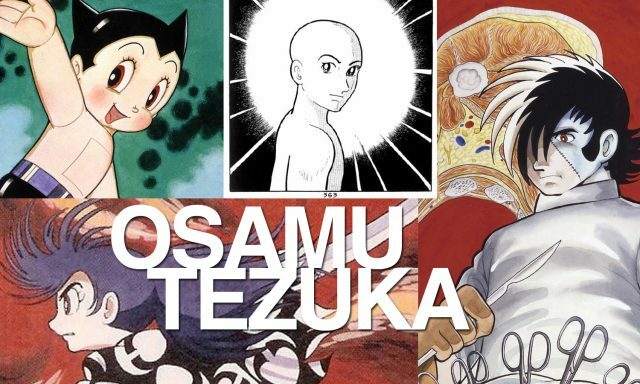 Recently translated by Frederik L, Schodt and released by the Stone Bridge Press, The Osamu Tezuka Story is available to English readers world-wide. The text was originally published as a series between 1989 and 1992 and is an incredibly large 928-page tome that introduces readers to Tezuka’s life during the postwar society. Tezuka was an artistic genius, arguably the most fruitful Japanese manga creator in history. He is the sole mastermind behind over 700 manga titles, 150,000 hand-drawn pages of art and more than 60 anime in his lifetime. Tezuka’s career led him in creating a growing and longstanding industry surrounding the development of manga into animated Japanese cartoons, or anime, and exporting this new and unique style across the globe, consequently gathering millions of cult followers world-wide. 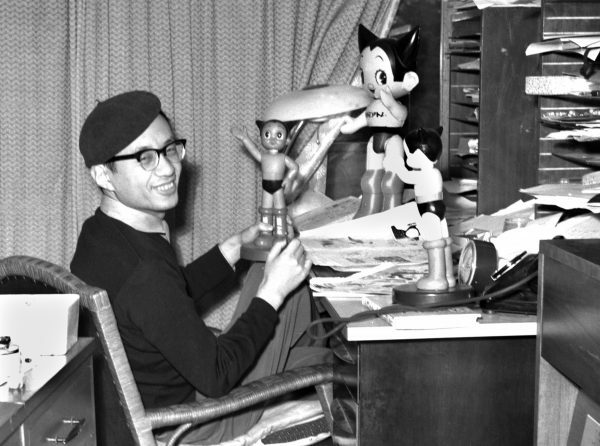 Tezuka’s work began with Astro Boy in the late 1960’s. In the United States, Tezuka is most widely known for Kimba the White Lion, originally published as the manga Jungle Emperor, and Buddha. Despite the wealth of content created by Tezuka, little is known and remains unpublished for American viewers because of both the wealth of titles to choose from as well as the extensive process of licensing, translating, and publishing manga overseas. 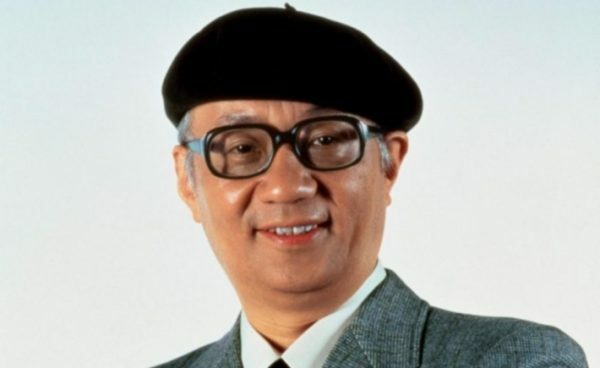 Unfortunately, a mere five years after Tezuka’s death from cancer in 1989 at the young age of 60, Disney notably plagiarized one of Tezuka’s favorite works, Kimba, The White Lion, in both appearance and plot for their massive blockbuster hit, The Lion King, that has accumulated an incredible near $1 billion revenue since its release in 1994. 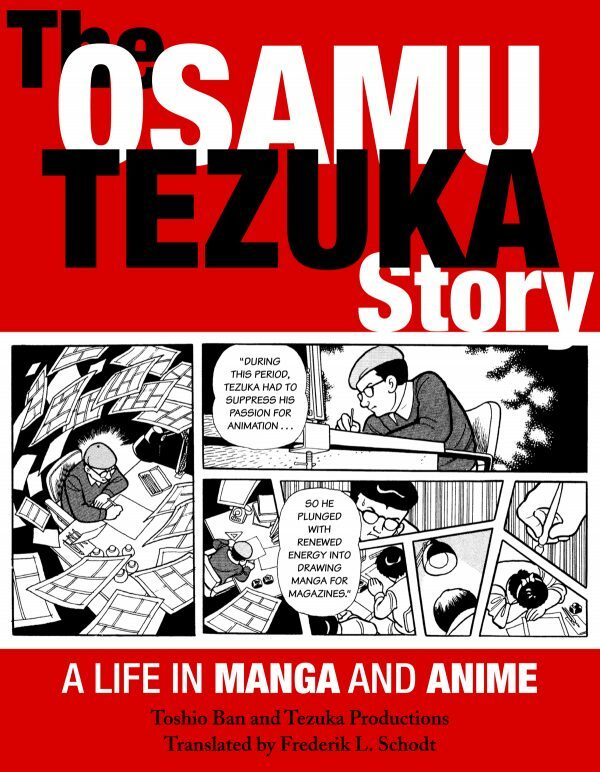 The Osamu Tezuka Story began as a manga release running in a Japanese newsweekly magazine beginning in 1989. After the final comic was released, a complete edition was published in book form in 1992. Not unlike traditional Japanese manga, this biography is read in the typical left-to-right and back-to-front fashion that avid manga readers are all too familiar with. Illustrated by the mangaka (manga artist) Toshio Ban, who worked with Tezuka during his successful career spanning fifteen years, this biography is intimately portrayed with the illustrations depicting the life of a friend, gormer colleague, and a legend. To achieve historical accuracy, Ban used real photographs of Tezuka’s life to assist him in translating his story into manga form. He also used one of Tezuka’s personally created characters, Shunsaku Ban, aka “Mustachio”, as the narrator of Tezuka’s life. Similar to Ban, Schodt, the translator for the biography, was also a longtime colleague of Tezuka who began working on translating his work back in the 1970’s. Not only does this wonderful biography include a detailed account of Tezuka’s career in manga and anime, but it also goes into great detail of his life in 20th-century Japan, before World War II, on through the modern era. The extensive biography begins with his childhood, telling of his life at a rigorous military academy as the country was on the brink of war, his first drawings, the Tezuka’s discover of American comics, his life in medical school and the pursuit of his lifelong passion in art. The backdrop of war encompasses about a quarter of the entire volume, both due to the impact it had on Tezuka’s life as well as the Japanese society in its entirety. Shockingly, there is no mention of the bomb droppings in Hiroshima and Nagasaki throughout the entire manga. On August 15, 1945, the war ended with a deafening silence before the manga quickly bursts into life again, portraying how Japan frenzied desperately to start a new life and vigor for their fallen society. During this part, readers are faced with unforgettable images of zombie-like characters representing the starving people, hopelessly dropping dead. Their bodies are depicted in an exaggerated grotesque nature bearing no resemblance to the realism of previous sections of the biographic comic. After the war, the comic begins to revive itself, and the familiar artwork of Tezuka’s style jump starts to life once again. After the war ended, manga popularity rose as the public sought escapism, similar to the rise of superhero comic books in the US. Although it is written in the style of a Japanese comic book, the content is far from fictional. This beautiful biography is recommended to anyone who is a lover of Tezuka’s work, or to anyone who is has an interest in manga and anime, including the history of one of the greatest cultural identities to a singular country. It is an eye-capturing and educational 50-year illustrated history book with the main character, Tezuka, emerging from the pages in his own creative style, brimming with energy until the final pages that was his life. Why not add this brilliant manga to your collection?